We are happy to announce the launch of our new app! you can now order all of your favourites from your phone. Order ahead and skip the line!! download our app from the app store and collect your meal from our express window. Lunch and dinner have never been so easy! It has been an awesome one year for greenstreat, we can not thank everyone enough for the feedback! We will be bringing you the best year of greenstreat history yet! Please note, this will be starting on Tuesday 29/01/2019. The appeal of Albury Laneways is that we have this urban setting with a fabulous array of businesses that are really great to stroll around and soak in. From that all important coffee from Dash at one end of the Laneways and Hot Bake at the other! Various food options from salads at Greenstreat, burgers at Urban Graze, house made dumplings at Chopstix House to great shopping; Albury Picture Framers, Milkshake Candle, Flowers In the Lane, Mister Igor, Code G and Pour Mes Amis.The Laneways have your beauty needs met through Skin Logics, Allure and Pout! Plan an epic adventure with Eating Travel! Night time is covered with the fabulous Rebuplico – such a great vibe and really offering something new as Albury’s only Cuban bar – delicious food, great cocktails and fabulous Music offerings too. And now Mantra, with central accommodation and a restaurant too! Of course that isn’t all of the businesses but what a great snapshot! If you get takeaway, does your local allow you to BYO container? It is always worth asking the question. The seeds of Jesse and Jackson McGrath’s food business Greenstreat were sown many years ago in the factory of the family business, McGrath Fine Foods, owned by their parents Chou and Jan McGrath. The Border family behind a celebrated poppy seed dressing has made a triumphant return to the Albury dining scene. 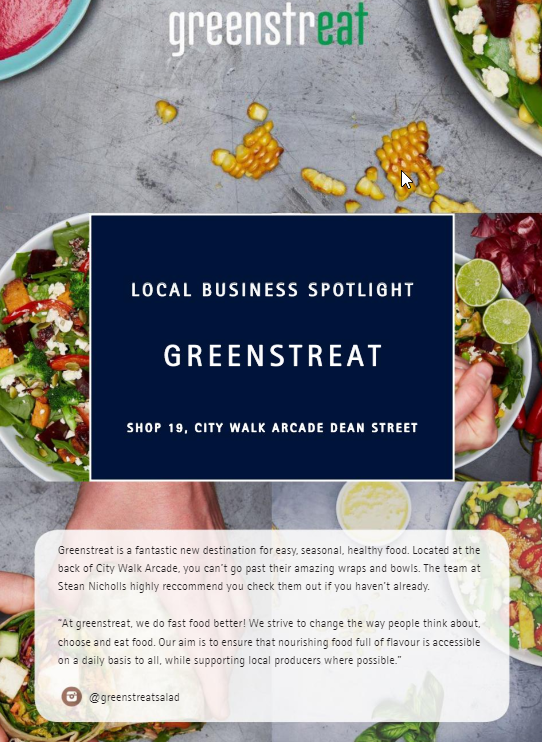 McGrath Fine Foods founders Laurence and Jan McGrath and their sons Jesse and Jackson opened the much-anticipated Greenstreat in City Walk Arcade last month. 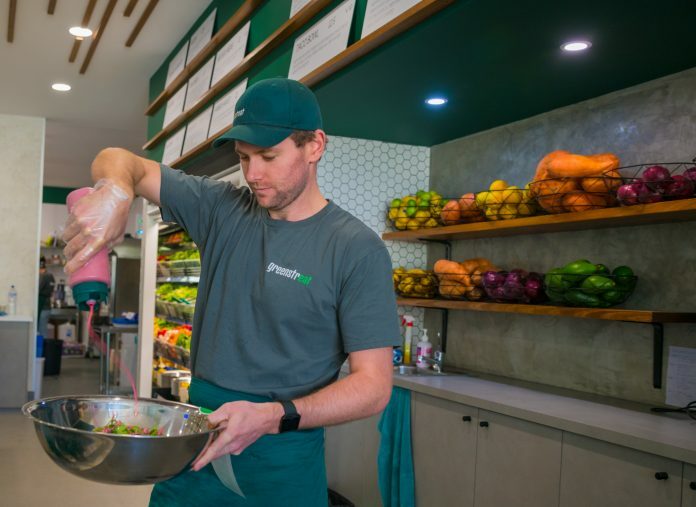 Mrs McGrath says the fast, casual food outlet is the ideal evolution for their range of gourmet salad dressings, which first appeared in Albury at their former eateries Canteen Cuisine and Simply Fed.